March already! January and February were pretty great months for winter activities, and it looks like that will continue a little bit longer for us. 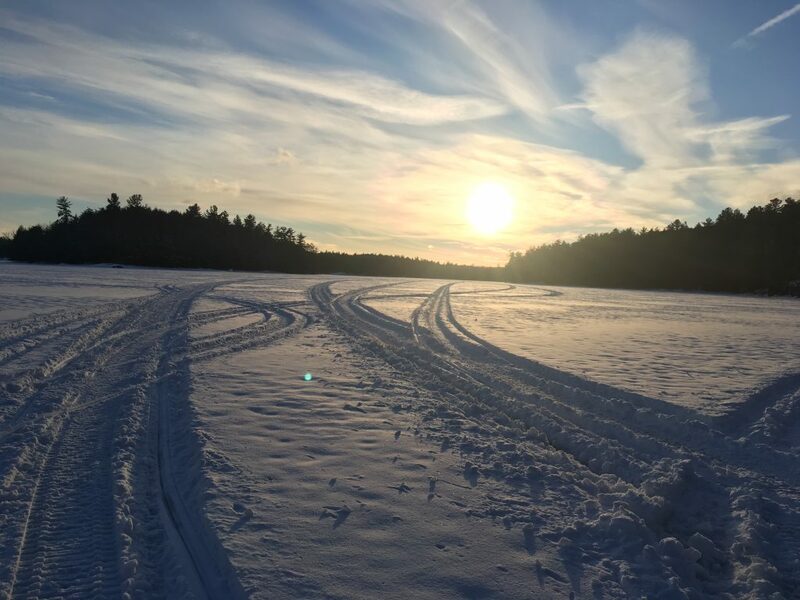 The trails are in great condition, there is lots of snow on the lakes and in the forest and the forecast looks good for some more in the future. We are closed for the month of March again this year, so the closest place to get gas is Anstruther Marina. Leah is off on an adventure before we get busy with boat season, and has headed back to Aussieland to visit Heather for 3 weeks. So far they are having a great time, she even got to attend a Dragon Boat practice with the Brisbane team! Heather is doing really well, making the most of her time and experiences in Australia. She recently moved from Cairns to Brisbane, and is working at the Australia Zoo. Happy belated Valentine’s Day. We hope lots of chocolate and maybe a glass of wine was enjoyed yesterday. It sure has been quite the month as far as weather goes. The snow up here is great, and the trails should be fabulous for the long weekend coming. It seems perfect for all winter activities except perhaps skating. 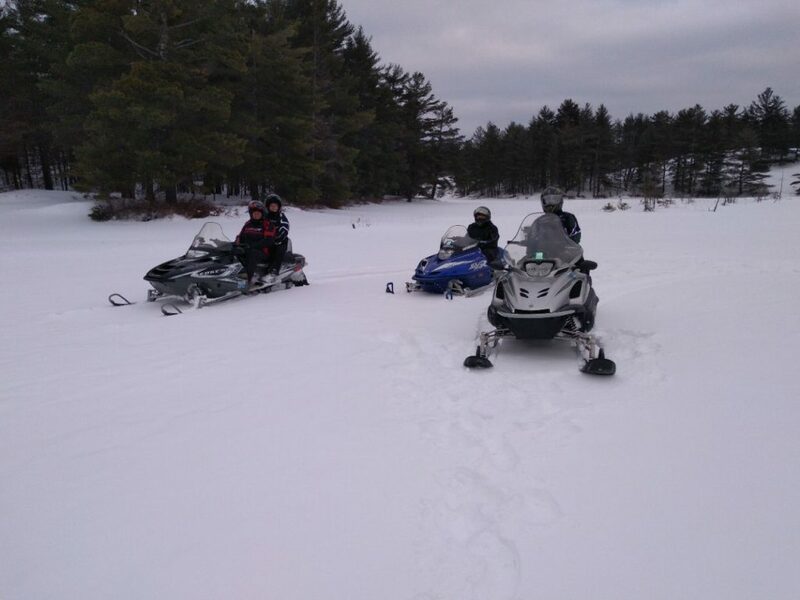 Anything from skiing to snowshoeing to snowmobiling should be lots of fun! Be careful of pressure cracks if you are out on the lakes. Mississagua and Cold Lake are staked from the marina and former Trappers Inn for safe crossing. The BDSC and their crews are doing an awesome job keeping the trails in great shape. We also wanted to let you know that we will be closing again this year for the month of March as we take time to work on some big projects around the marina and get ready for the spring weather and boat launch. Enjoy the long weekend and Happy Family Day. Did everyone make it through the chilly temperatures we’ve seen these past couple of weeks? And the snow that Toronto and surrounding areas got this past week! Quite the adventures from what we’ve heard. 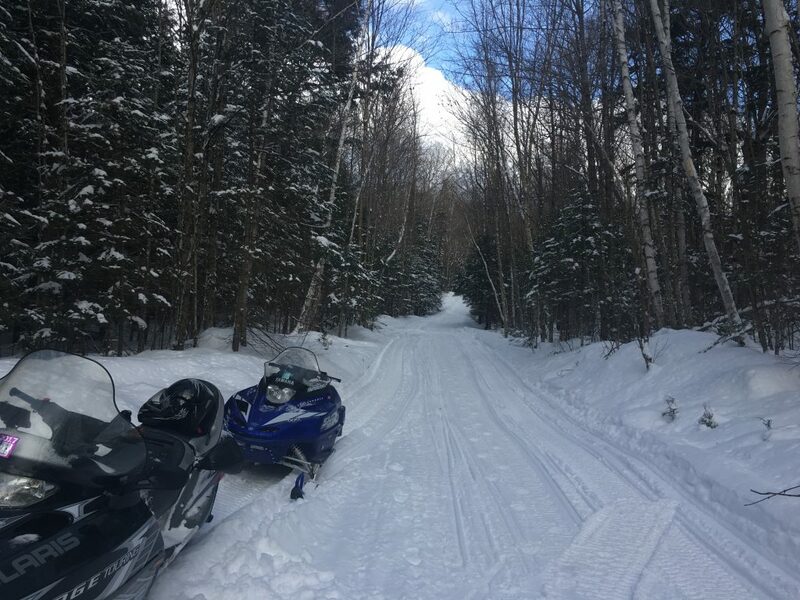 We didn’t get nearly as much up this way, but it is still beautiful and snowy, making conditions great for snowmobiling, cross-country skiing and snowshoeing around here. We were able to get away for a few hours this afternoon and explore more of the BDSC trails and they are in fantastic condition! A reminder to everyone that this is a great weekend to get out and explore because you can register for FREE trail permits for tomorrow and Sunday. If you’re looking for a nice ride with some delicious food at the other end on Saturday, we would highly recommend the Swiss Bear in Apsley! Great food, great service – definitely a must visit. For something closer to home, stop by The Catch on the 507 across from Beaver Lake Road. Have fun, and as always stay away from running water areas.